Inspired by Boswell & Johnson’s ‘Tour to the Hebrides’, Out of Books is an illustrated guide to my & Alec Finlay’s modern-day interpretation. 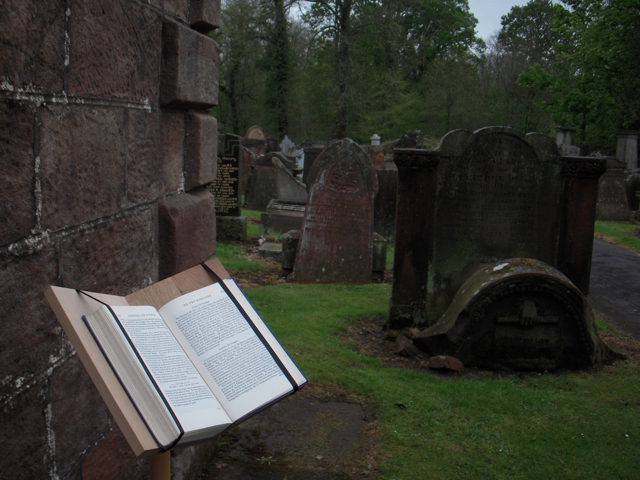 Reading the text in landscapes our predecessors described, we’ll invite people to join them at readings & guided walks. 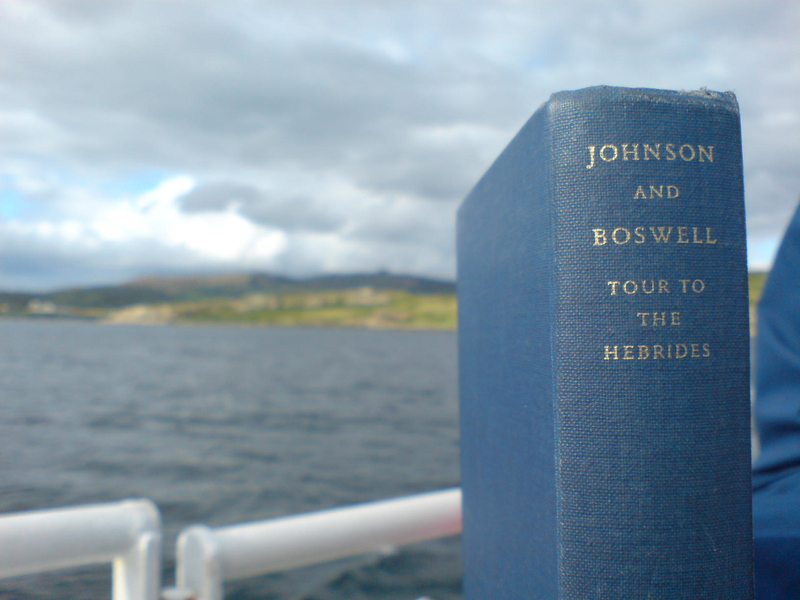 To date we’ve been to Edinburgh and Auchinleck, where Boswell & Johnson began and ended their journeys: over the summer we’ll visit Nairn, Inverness, Drumnadrochit (Loch Ness), the Isles of Skye and Coll, and Inveraray. We’re especially interested in the books they read, quote from and refer to as they travel, from the Greek and Latin classics to the now obscure works of 18th century divines. 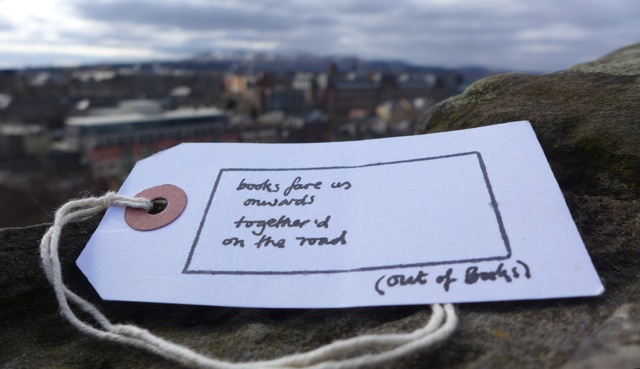 The Out of Books blog is here. You can select a location on the map to read our online journal – as places are visited, new links will be added. Once we’ve completed the journal, we’ll develop the blog by writing ten thematic posts, to be published late 2013.